With less than 24 hours left of 2013, lets go back and look over the most important moments of the 2013 Mets year, on and off the field. We did this last year too which you can check out here. 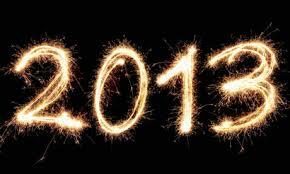 In case you were living in a cave over the last year here is everything you need to know about the Mets in 2013. There were a lot of positives for the Mets but the team also had a lot of negatives. Here’s the list. “This is one of the proudest days of my career so far.” David Wright said during Spring Training when he got the news. Wright became the fourth team captain in the clubs 51-year history. Gary Carter and Keith Hernandez were co-captains while Wright’s former teammate John Franco was the last captain before Wright. The Mets handled the situation well and Wright’s teammates all felt that being named captain was well deserved for the Mets all-time hits leader. A majority of New York baseball writers, executives, coaches, including myself all felt as if Ike Davis was ready to take off and have a monster year. That obviously didn’t happen as Davis badly struggled in 2013 including a trip to the minors. His future in New York is cloudy at best. 57% of BrokeMets viewers felt that Ike Davis should be moved. You can vote on that poll here. The Mets are actively shopping Davis and he may not make it to Spring Training in New York. Once a first round pick and top prospect, most feel as if Davis will never live up to his potential in New York. Although the Mets 2014 payroll will likely finish below where the 2013 payroll was, it is encouraging to see the Mets signing free agents again. Curtis Granderson, Bartolo Colon and Chris Young all should contribute to the Mets next season. They are all guys who are “Sandy Alderson type” players which means they all come with a ton of upside but also with considerable risk. Granderson is 33 and coming off a lost year. Colon is the oldest pitcher in baseball and has a steroid suspension on his resume and Chris Young hit .200 last year in Oakland but the three also have a ton of upside and could revert to All-Star form. They must perform next year or the Mets will be staring at a third consecutive 74 win finish. This was perhaps the best day of the Mets season. A June double header in Atlanta vs. the first place Braves. 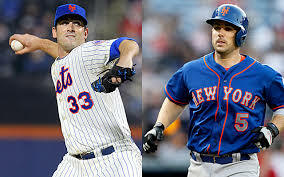 The first game was Matt Harvey who had a no hitter going late into the game. He didn’t get his no no but he got the win. It looked like he was trying to remind New Yorkers that this was still his team despite the Mets top prospect making his debut later that day. The night cap was the MLB debut of Zack Wheeler. Wheeler was a little wild but was very impressive getting the win as well. The day was significant because it showed that the future is now. The Mets no longer had to wait until the top pitching prospects came, they were here and looked as good as advertised. When the All-Star game came around in mid-July the Mets were already falling out of the race so it was nice to have the spotlight back on the Mets when the game came to Queens for the first time since 1964. Matt Harvey started the game and got out of a jam in the first and David Wright had a hit late in the game off Royals closer Greg Holland. Harvey and Wright represented the Mets well. The two were the Mets lone all-star representatives. Wright also performed well in the home run derby as we finally learned it is possible to hit home runs out of spacious Citi-Field. It’s unfortunate that the list has to end with the most depressing thing to happen to the Mets in some time, but yes the Mets will be without their new ace for the entire 2014 season. 95% of the time pitchers come back the next year even better than they were the year before but it’s sad that the Mets lose their best pitcher right when they thought they were ready to start competing. Mets owner Jeff Wilpon even admitted that the Harvey injury changed their plans this winter. Ideally Zack Wheeler can step up in Harvey’s absence. The rotation is still above average but it could have been elite with a healthy Harvey. Well that’s our list, if you think of a moment that deserved to be on here for the 2013 season post it in the comments section. Hopefully 2014 will be a breakout season for many Mets. Mike thanks so much for all your comments. You were number one in comments on BrokeMets in 2013 and it has been a gift to talk a little Mets baseball with you. Keep the comments coming and let’s go Mets! 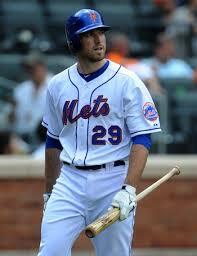 Should the Mets trade Ike Davis?? ?